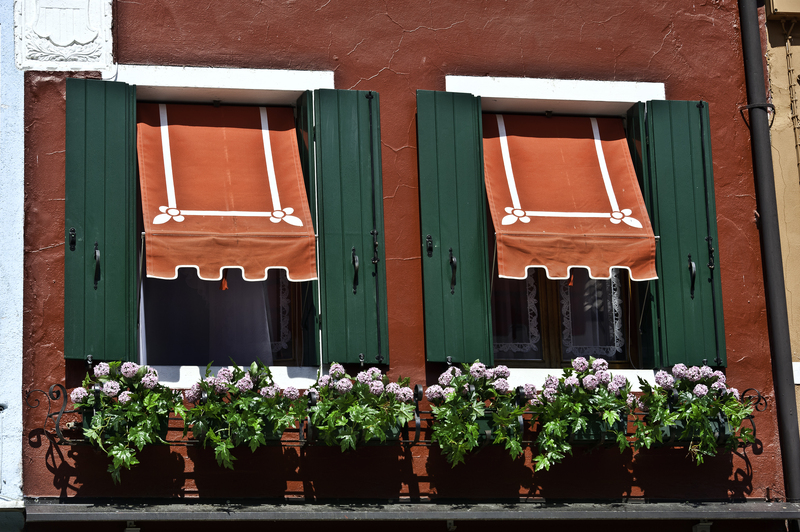 While in Venice, we visited the Island of Burano, which is located 4.3 miles from Venice in the Venetian Lagoon. 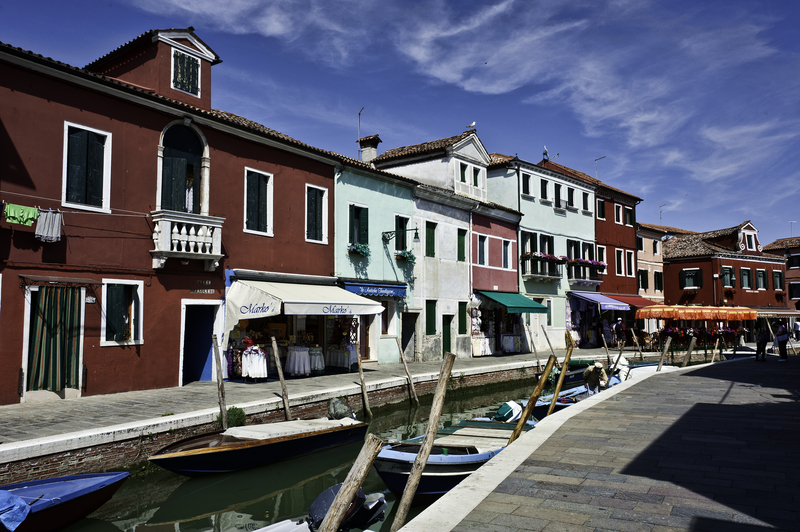 Burano is a small island with a population of 2,800 and is known for its brightly painted houses and shops and its artists. The colors of the houses follow a specific system originating from the golden age of its development; if someone wishes to paint their home, they must send a request to the government, who responds with the permitted colors for that lot. You can click on the above photos to see them in more detail. 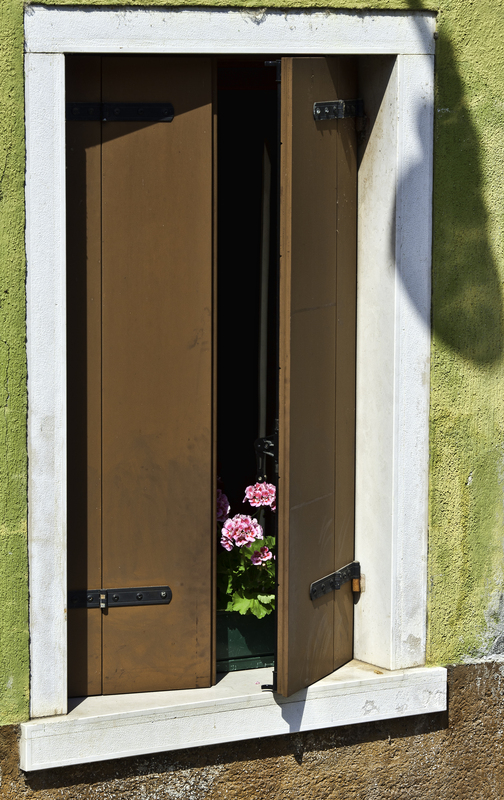 Eventually, I will add these and more photos from Burano to my Website. Burano was candy to my eyes. I too found the doors to be VERY interesting and shot MANY. They and other windows will be subjects of future blog posts. As far as no screens, it could be because of the very limited number of insects. We commented about that among ourselves while traveling throughout Italy–there were no flies or mosquitos following us around, as they usually do. Theresa and I stayed in a small hotel in Lucca that had no air conditioning in July! It was extremely hot and so we had the unscreened windows open at night. Unfortunately the lights in the room did attract biting bugs and Theresa was bitten. The bites swelled and itched so much that it drove us to the pharmacy where we tried to explain the situation to non-English speaking personnel. We some how managed to understand that the bugs were like our “no-see-ums” and they gave us something for the bites. I think you were lucky that it was not yet summer and so those bugs were not around … but we didn’t see flies either. BTW I just viewed these photos again at home on my Mac and they are simply gorgeous! Interesting that you mentioned that, because today I had the opportunity to quickly view my blog from the PC that I use in my consulting practice and was EXTREMELY disappointed. I was disappointed because the colors were dull and resolution poor, and I thought it was a pretty descent (Samsung) monitor. As you know, I use a 27″ iMac at home for my photography, and the images look awesome on it. So, it left me wondering what others were seeing on their Windows PCs with average to poor monitors. WITHOUT A DOUBT, they look great on Apple products to include the iPad, iPod and IPhone.